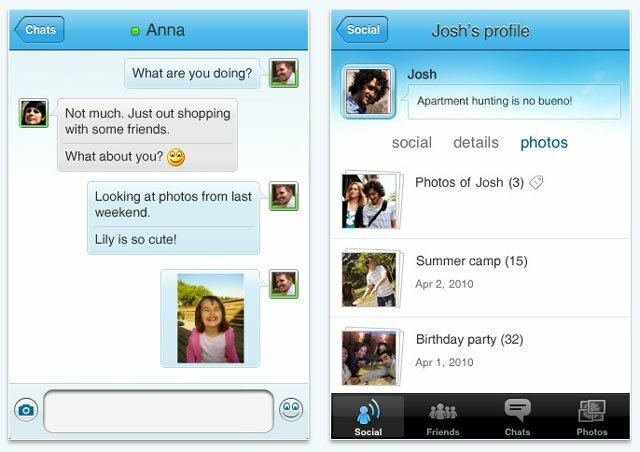 Windows Live Messenger for iPhone and iPod Touch is the best way to chat with your close friends and family. Use your iPhone to instant message your friends list whether they're on Messenger or Facebook, share photos from SkyDrive, Facebook or your local phone album and update your status. Messenger is simply the best way to connect with your closest friends. - Get your email the instant it comes in-notifications let you know when you have a new message. - Calendar and contacts are synced to your phone. - All of your Hotmail folders and subfolders are browsable. - Send photos via email from your phone to your friends. - Tap Settings, then tap Mail, Contacts, Calendar. - Tap Add Account in the Accounts page. - Enter your full Hotmail email address and password. In the Description field, enter a name so you can identify this account when you check your email (for example, "Hotmail"). - Select the fields that you want to sync (they should say ON if you want them to sync). Tap Save. - Enter your name, your Hotmail address, and your Hotmail password. Leave Domain blank. - Enter a description and then tap Next. - If the previous steps succeeded, you'll see a page listing Mail, Contacts, and Calendar with options to turn these on or off. Select the fields that you want to sync (they should say ON if you want them to sync). Tap Save.